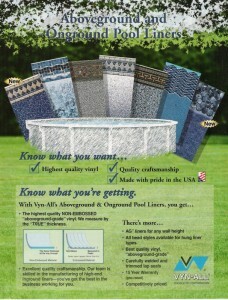 Not all swimming pool liners are the same. 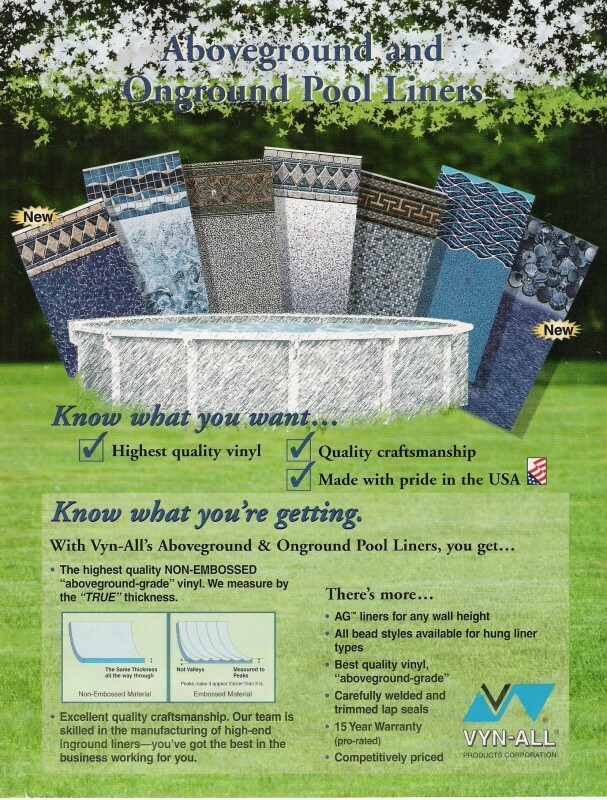 Don’t think or be mislead into believing just because you bought a thicker pool liner, that you bought a good one. This is simply not true! Some of today’s manufactures are adding fillers to the vinyl not only to fluff it up making it thicker, but at the same time while cutting cost to boost profit’s, it shortens the over all performance and life of the vinyl liner. Another thing Manufactures are doing is scalloping the vinyl to make you thing your buying a thick liner but in actuality they are removing a third of the materials. As the saying goes, you get what you pay for! 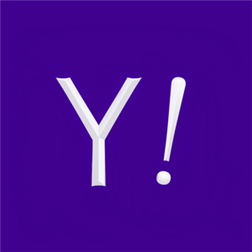 The best pool liners are made using 100% pure virgin vinyl treated with anti-fungicides and sealed with clear coats that will help prevent fading, shrinking, staining and harmful Ultra Violet light. these types of pool liner can last an easy 25 or more years apposed to the lower costing fluffed up liners that last about 6 years. Only a few or none of the consumers will ever know this fact about swimming pool liners and I am willing to bet that most pool builders and or dealers are not aware either. 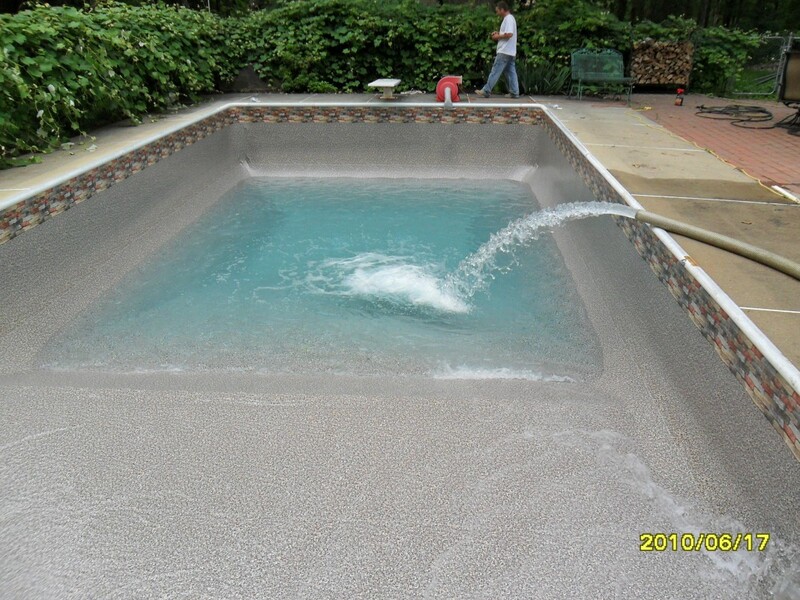 This is why you can trust Your Pool Pal Brian to build your family pool using the best craftsmanship and proving materials available.